Make a wish and put on your necklace. With an open mind and positive spirit, life is truly magical. Wear your necklace as a reminder to believe in the extraordinary. 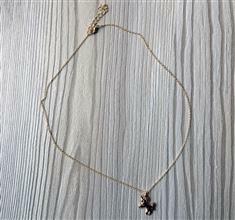 This gold plated chain necklace and charm, comes on a gift card is perfect for the Magical Being in your life.